If you think that the 5-series is too small but the X5 is just not sporty enough, then BMW wants you to take a good look at the 750xi as a car that blends luxury with a bit of sportiness in a prestigious and exclusive package. 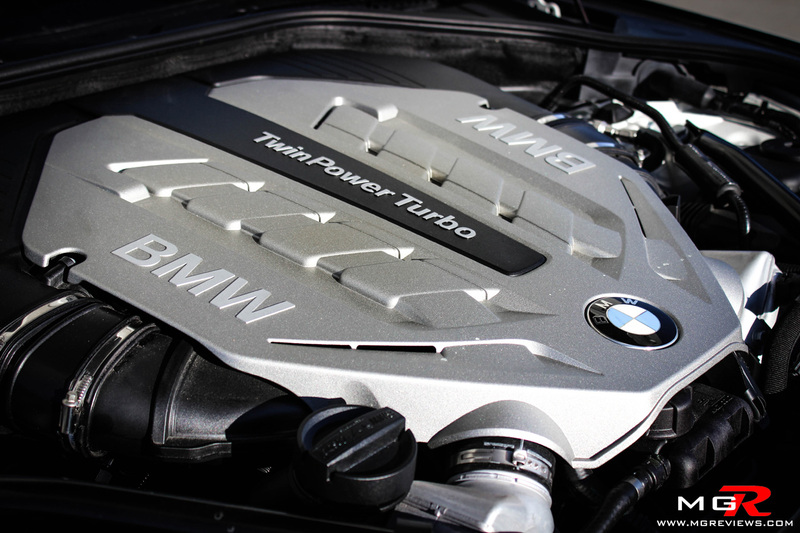 Performance – Like the 550xi, the 750xi is powered by the same 400hp twin-turbocharged V8. 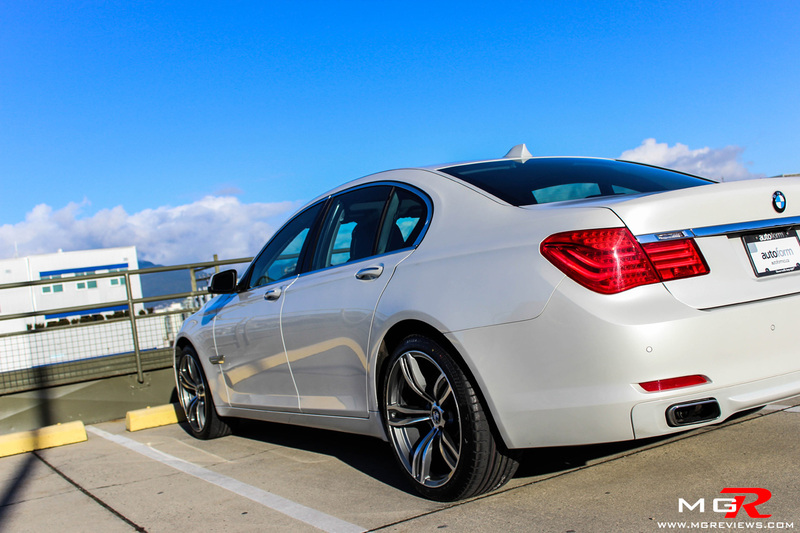 Although the 7-series is larger and slightly heavier, it actually feels the same in terms of acceleration and braking. 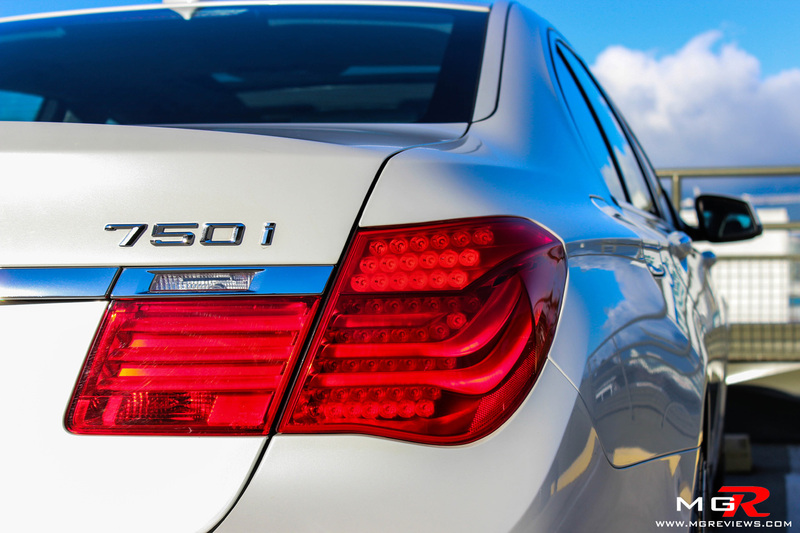 Turbo lag is non-existent and it’s surprising at how quickly it can accelerate to the legal highway speed limit, which happens to be 4.9 seconds. 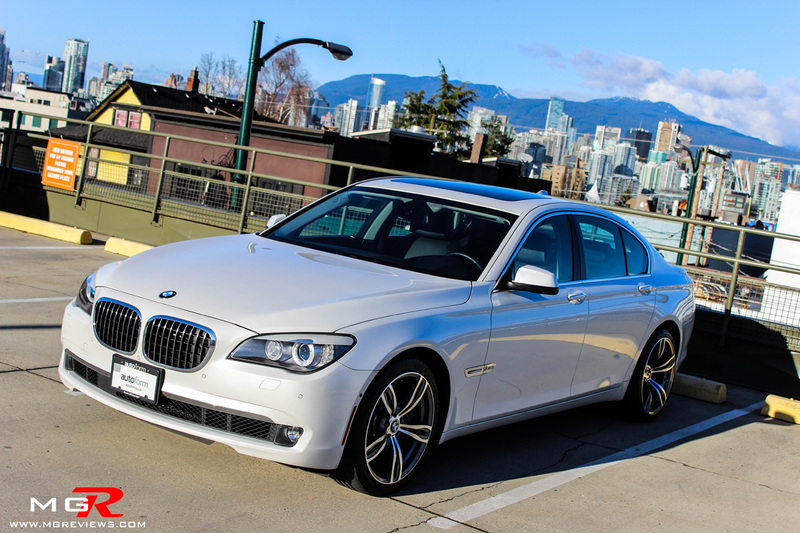 However unlike the 550xi, this 7-series does not come with an 8-speed automatic. 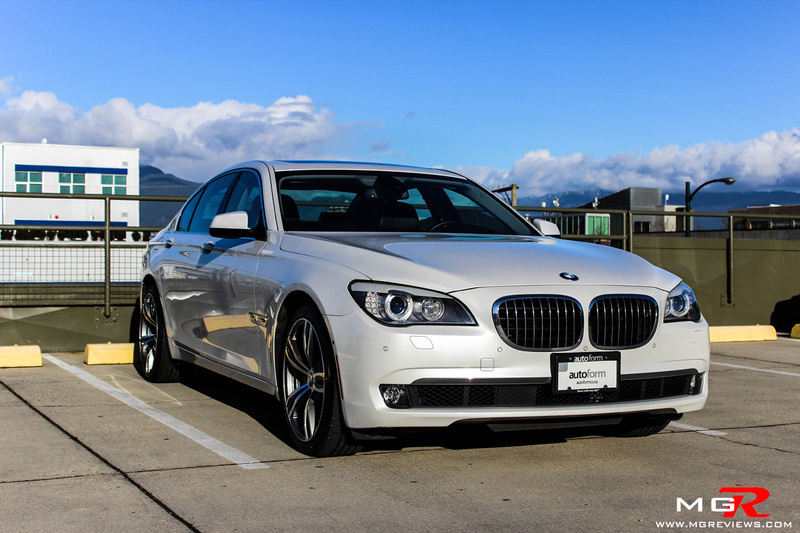 Rather it has to make due with a traditional ZF 6-speed transmission but as of 2012, all new BMW7-series models are available with the ZF 8-speed automatic. 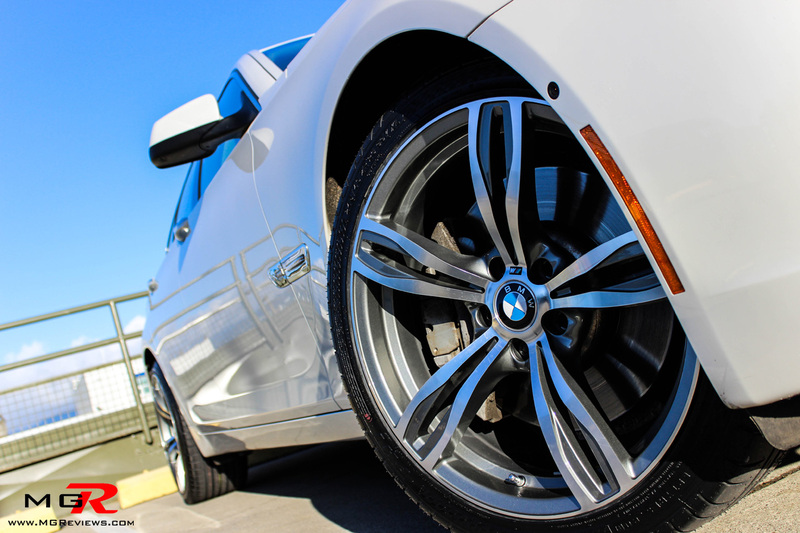 The 6-speed is just as smooth and just as quick to shift as the 8-speed version but it doesn’t have those extra gears for greater fuel economy on highway driving. Speaking of fuel economy, the powertrain has been given the BMW efficientDynamics treatment by incorporating regenerative braking, direct injection fuel system, ECO mode, and Auto start/stop. All of these features add up to an overall fuel efficiency rating of 11.1L/100km combined. 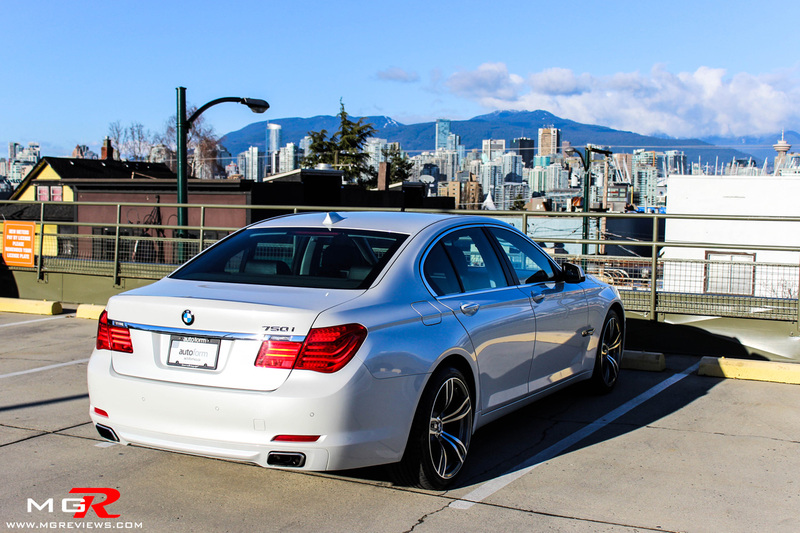 Not bad to a big sedan. As a big sedan it is more fun to drive around twisty roads than an SUV but it’s not as fun or as crisp as a compact sports sedan such as the Audi RS4. This 750xi utilizes the same electromechanical steering system as the 550xi and just like its smaller brother, the steering feel just feels fake. At slow speeds it is way too light and at higher speeds it’s heavier but it doesn’t feel quite as connected to the road as the RS4 or M3. 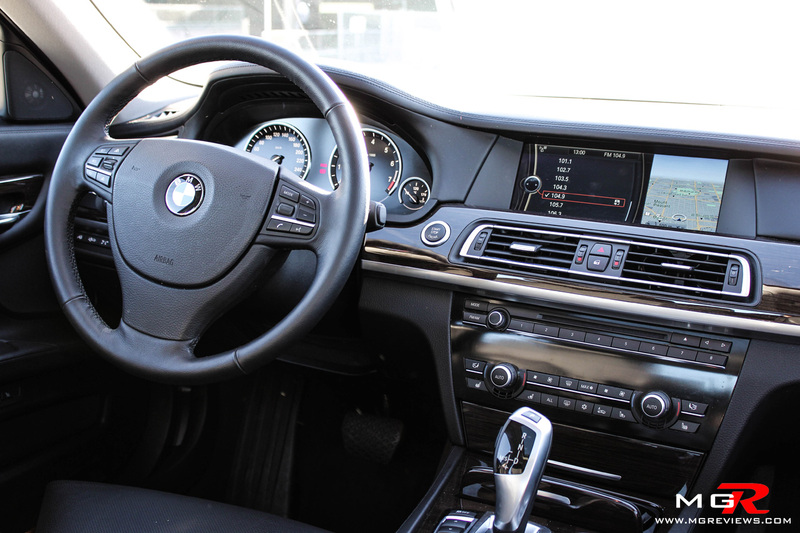 Comfort – This being a top of the line BMW sedan, it has a top of the line feel inside the cabin. 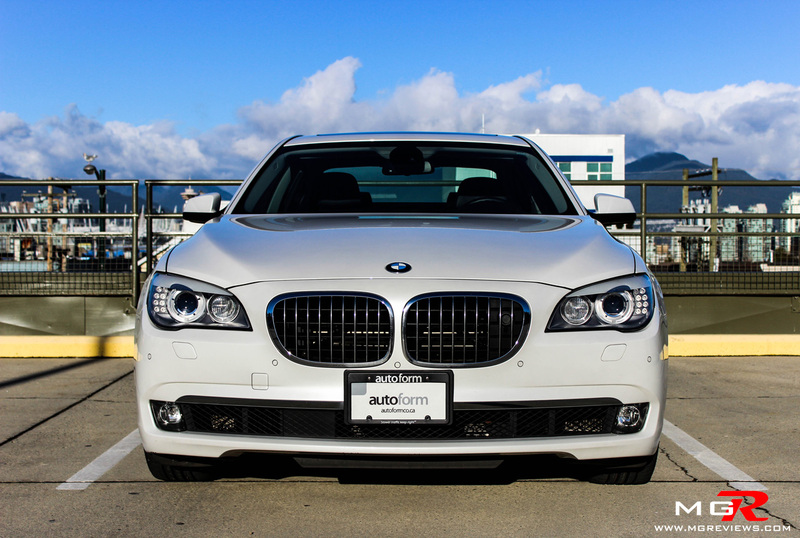 Soft leather everywhere you look, word grain trim on the dash and door panels, and a quality German fit and finish. 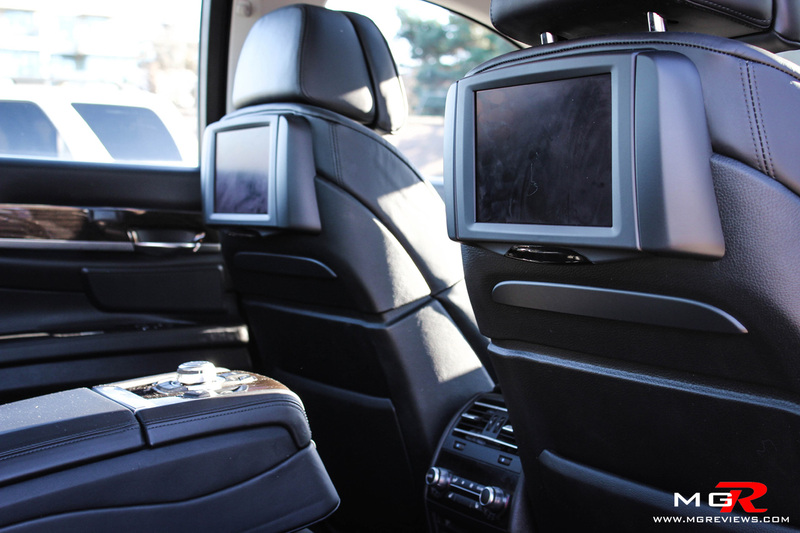 Also passengers in the back can be entertained by the seat-mounted TV screens that can play DVD movies or surf the internet. 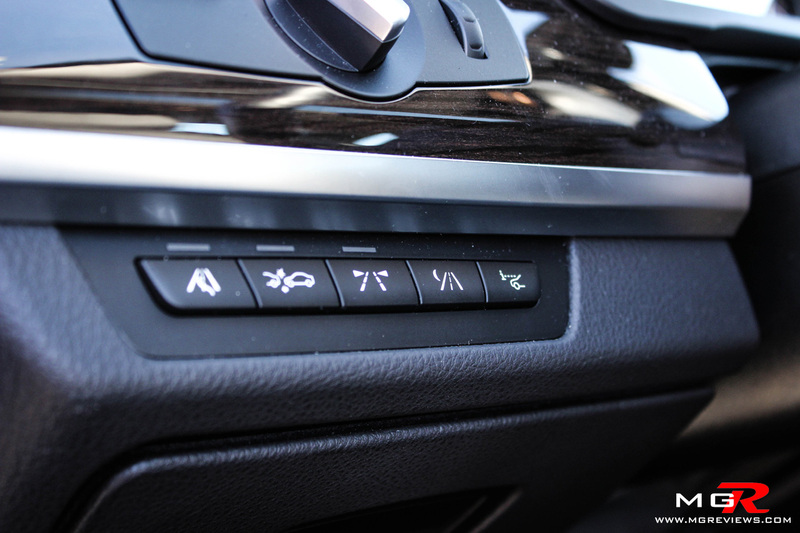 The ride of the 750xi can be adjusted from Comfort all the way up to Sport+ via buttons on the center console. 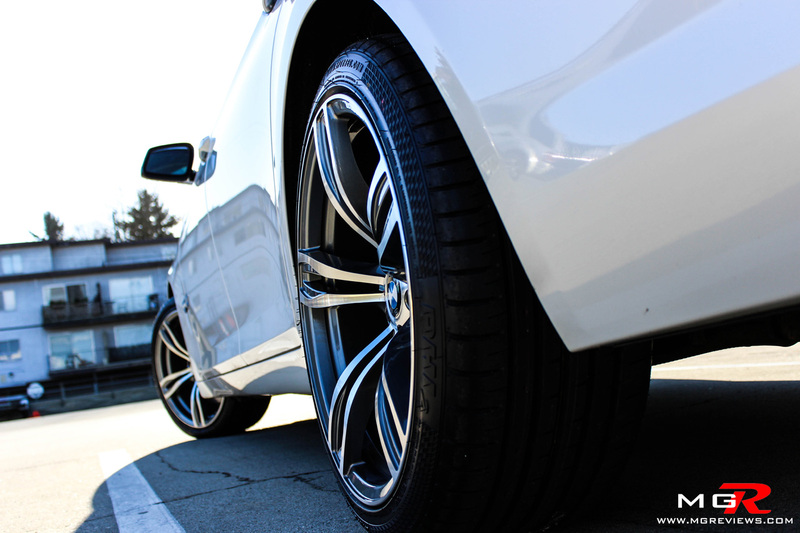 In comfort mode, the ride is smooth and even with the low profile tires the car feels like it’s gliding on clouds. On the other end of the scale in Sport+ mode, it’s not a race car type ride but it is a bit bouncy. 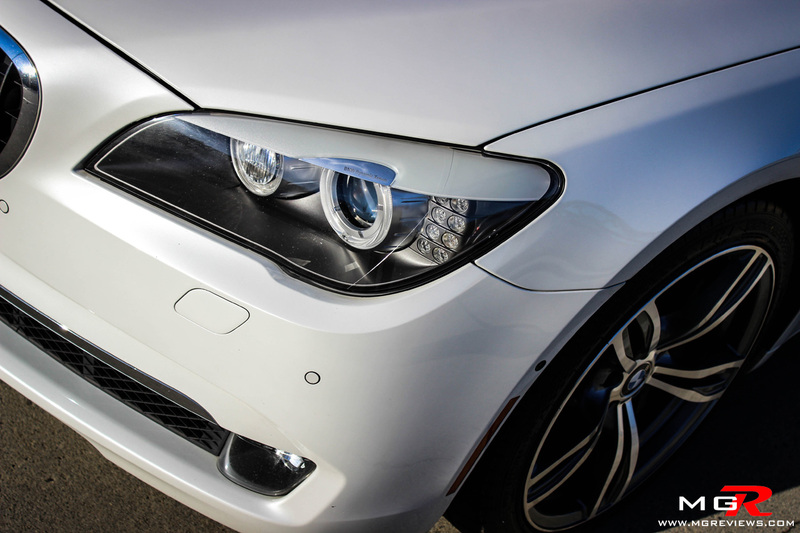 Odds and Ends – The exterior styling of the new generation of 7-series is on the conservative side with not many improvements apart from the headlights and the LED taillights. The trademark kidney grills are slightly larger now and the M6 inspired wheels on this particular 750xi give the car an aggressive stance. Now we get to my favorite part of the new 7-series, the gadgets. 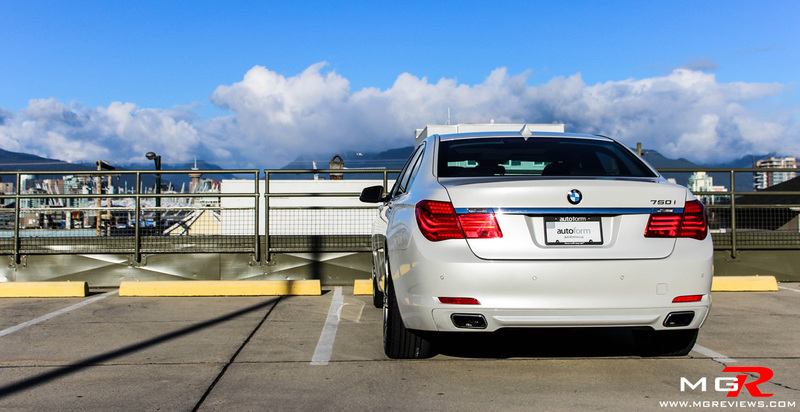 This car is packed with numerous driving assists such as lane departure warning, adaptive cruise control, heads up display, active emergency braking, and best of all, an infrared night vision camera. The night vision camera doesn’t have to be used at night only, in fact I found myself using it while I was on my test drive in the bright winter sun. 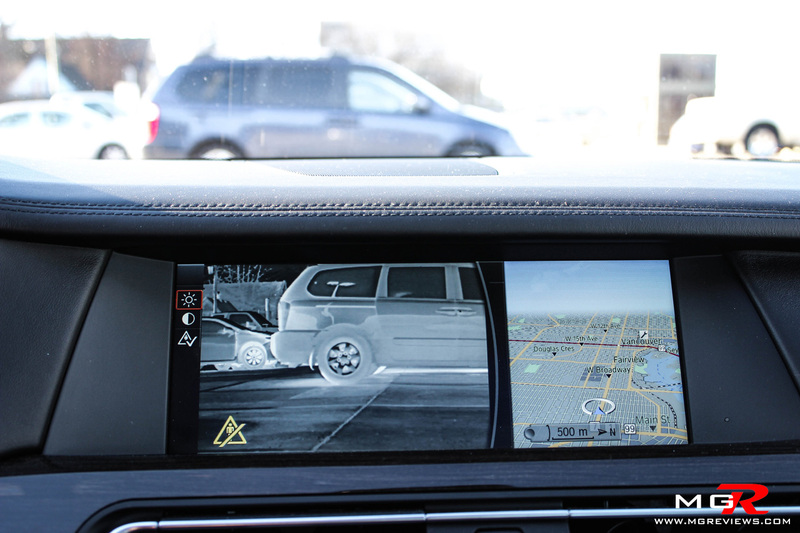 This car is also fitted with 2 cameras in the front bumper which allow you to see behind a wall that could be obscuring your vision at an intersection or a parking lot exit. A person can literally spend days playing around with all of the gadgets and features that are available in this car. 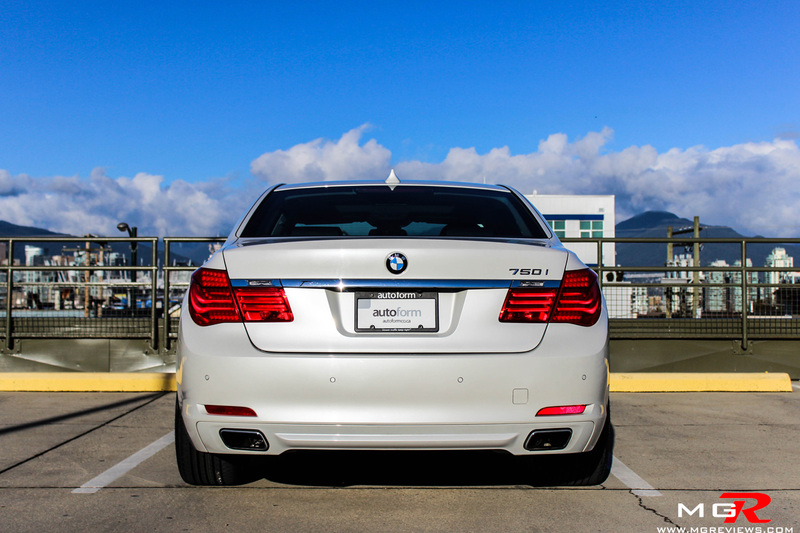 Whether for work or play, the BMW 750xi can satisfy the needs of anyone looking for a luxurious top of the line sedan.